Key Drive Sprocket 24mm - Fitbikeco. The benefits of 24mm cranks are undeniable. With more brands starting to copy our 3PC 24mm design, the demand for 48-spline drive sprockets is starting to grow. And with the introduction of our new lighter and cleaner exclusive 2PC Bossless design, a spline drive sprocket is a necessity. 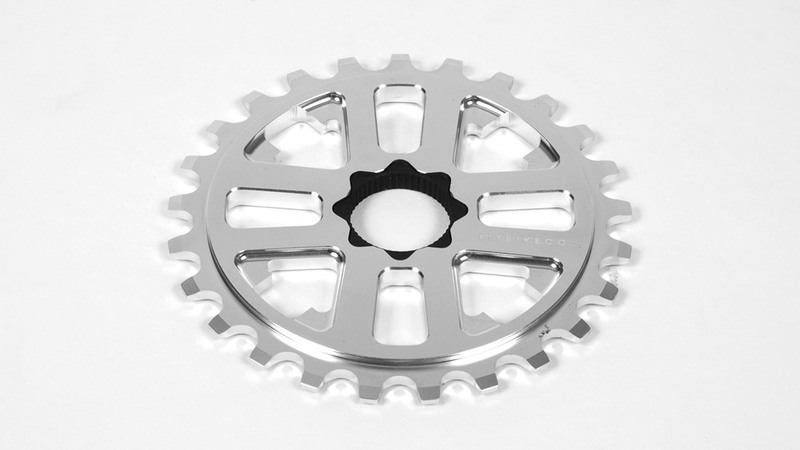 Riders can use a 48-spline KEY DRIVE or KEY DRIVE GUARD sprocket with their 3PC or 2PC 24mm cranks.